3 pk. 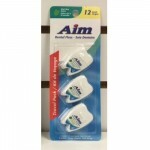 AIM Dental Floss 12 yardsMade of lightly wax materials Designed to slip easily into .. Compare to the performance of Efferdent Anti-bacterial tablets. 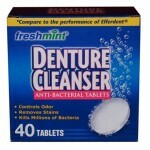 Kills millions of bacteria, removes ..
Freshmint Denture Cleanser Tablets, 90 ct. 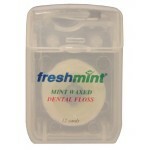 Compare to the performance of Efferdent Anti-bacterial ta..
Freshmint 2 oz. Mouthwash $0.35 Each. Perfect for travel, hotels, and gym bags! 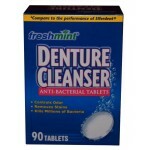 This alcohol-free mouthwash come in a clear bottle allowin..
Freshmint 4 oz. Mouthwash $0.49 Each.